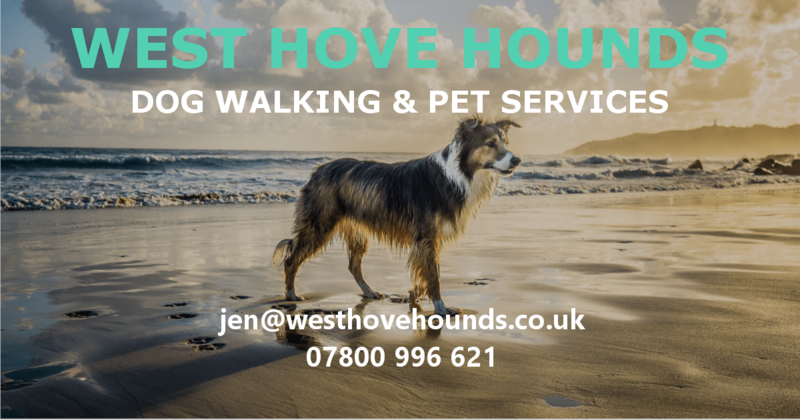 West Hove Hounds offers fun, lively, safe and varied walks around the Brighton and Hove area. We walk in small packs, in a variety of locations to suit the dogs’ needs and ensure that they are happy, healthy and well socialised. We offer a range of services including Pack Walks, One-to-one Bespoke Walks, Pet Feeding, Pet Taxi and Puppy Visits and are always flexible to your needs, so please just ask. 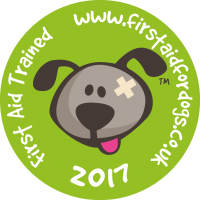 We are fully insured, DBS checked, dog first aid trained and pride ourselves on our passion for providing a safe and reliable service for you and your best four-legged friend. Please get in touch for more information and to arrange a free trial walk. “Jen our lovely dog walker is always flexible and reliable who always looks after my dog responsible and professionally. My dog is always so happy, benefitting from the long countryside walks. Highly recommend this wonderful lady." West Hove Hounds understand how precious your pets are to you and treat every single one as we would our own and as part of our little family. Walks last a minimum of an hour, often longer and we walk at a variety of locations throughout the Brighton and Hove area including the South Downs, Stanmer, Wild Park, Devil’s Dyke and Sheep Cote Valley. Visits last 30 minutes. This includes social time with your pet, cleaning out litter trays if required, cleaning food and water bowls and additional tasks that may put your mind at ease while you are away including opening curtains and watering plants.